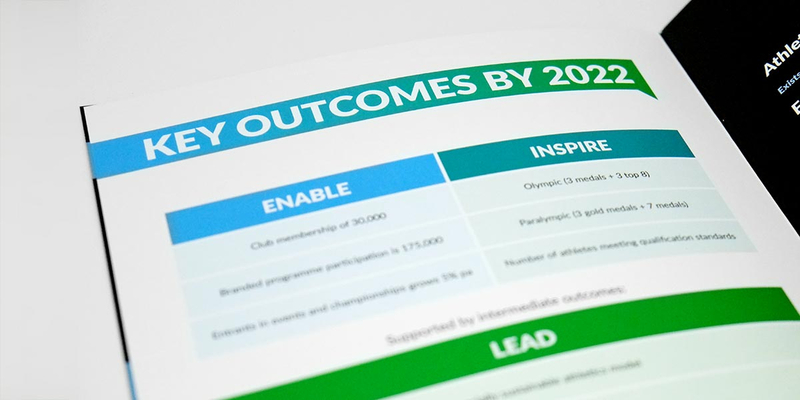 Client: How do we show that we’re leading athletics forward? New Zealand’s athletics successes at the Rio Olympics 2016 have helped to raise awareness of athletics to a level not seen in New Zealand for many years. 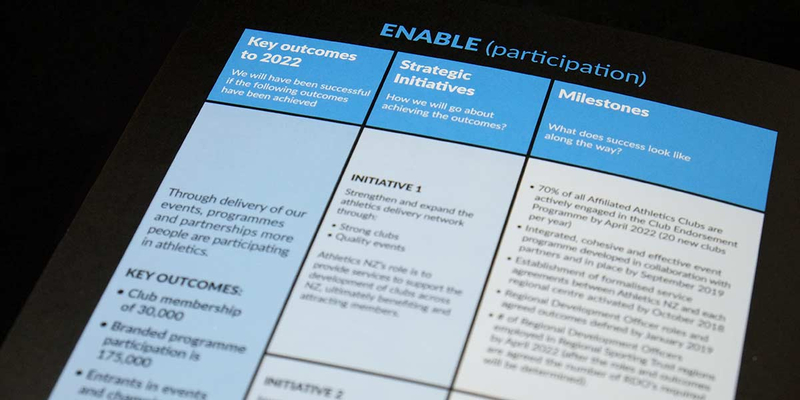 Best-ever fan engagement and increased participation have prompted a revitalised and refocused approach for Athletics New Zealand. 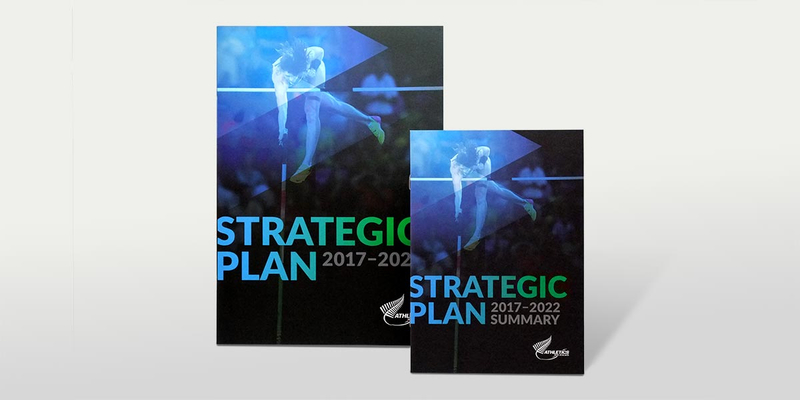 The Athletics New Zealand Strategic Plan covers a five year period from 2017 to 2022. 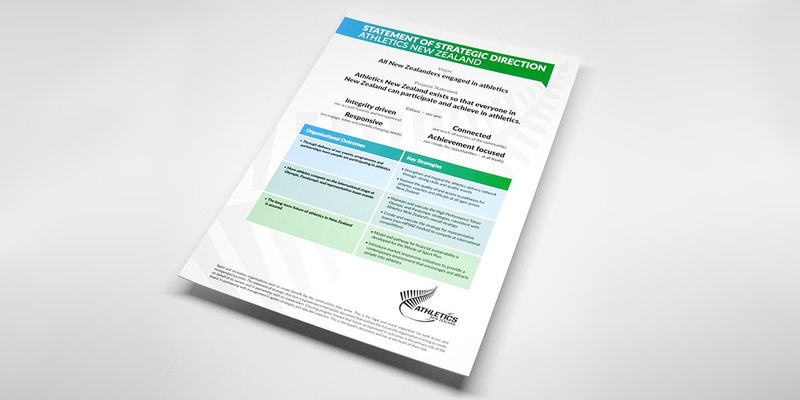 It has been developed in consultation with many different groups in the athletics community, including the Board, Members, Clubs, Centres, Sport New Zealand, staff and partners. Angle was presented with a final draft in April and briefed to create a design that would inspire for the next five years. 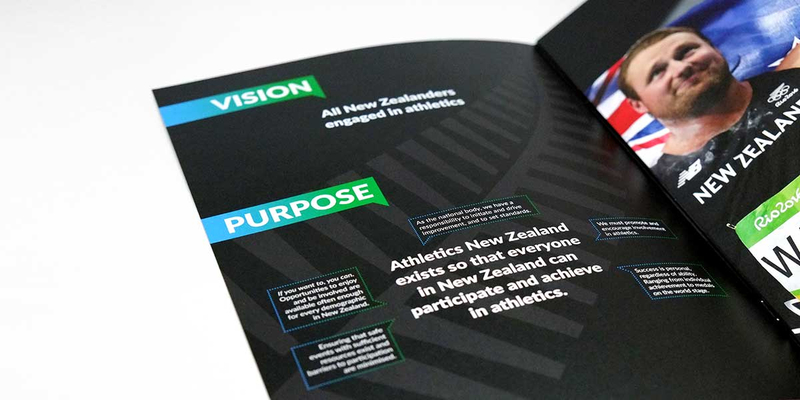 Angle used the existing Athletics New Zealand brand identity but developed this a stage further when exploring the initial brochure designs. 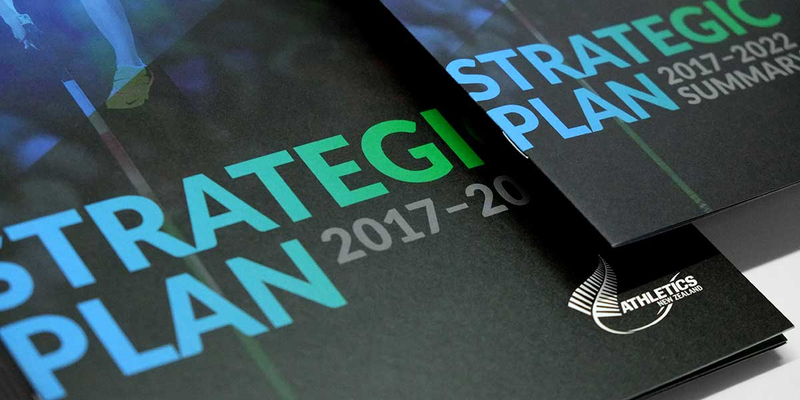 We stayed within the current colour palette to identify the three strategic initiatives but we added colour gradients. 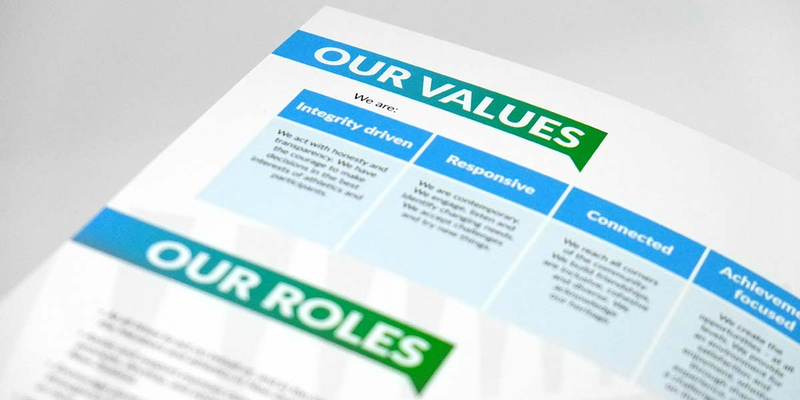 We used the brand fonts but introduced a clear hierarchy of sizes to present information with clarity while still being expressive. We retained the existing blue diamond-shape graphic but gave it a new lease of life by using it to mask high quality action photography. 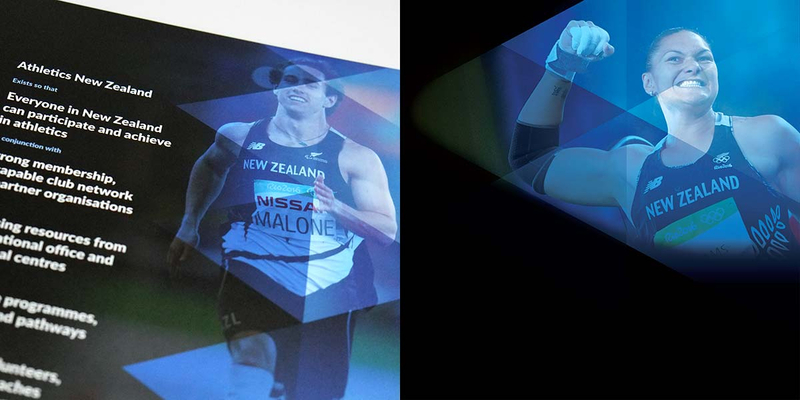 Together they clearly present Athletics New Zealand as a progressive National Sports Organisation with a clear focus on what needs to happen to lead the whole sport forward. Finish Saddle stitched brochures on uncoated stock. Production Digital and offset printing.